Caption slip reads: “Photographer: Wyman. Date: 1955-04-13. Reporter: Davis. Assignment: Air Force General Interview. 17/18/7/8: candid. 39/40: Air force Gen. Benj. 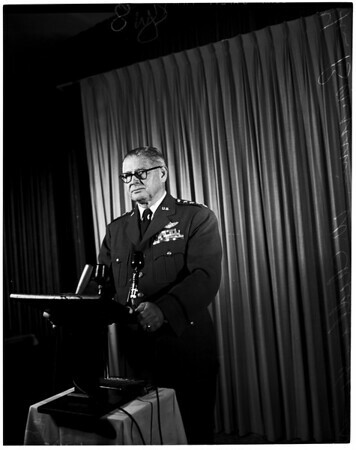 W. Chidlaw, head of the Continental Air Defense Command at Bel Air Hotel”.